De Wolky Shop - Shoes in Leiden. De Wolky Shop is a unique ‘one brand store’, the most complete collection of one brand in one store. 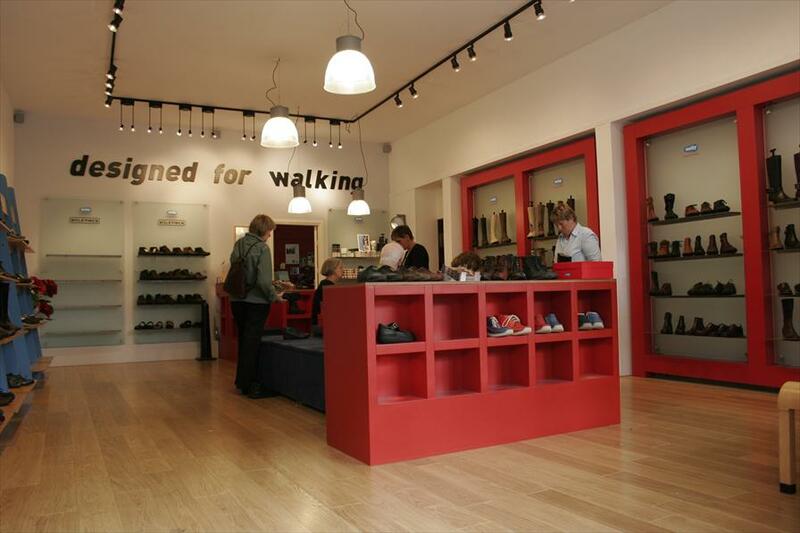 The entire collection of Dutch shoe brand Wolky, especially ladies- but also men’s shoes, is available here. This makes for a collection that can’t be found in a large part of the country around Leiden. The quality brand Wolky makes for a loyal customer base from all over the country. The store is beautifully situated on Leiden’s most beautiful canal, and owners Hub and Monique Sillen serve their customers with old-fashioned hospitality. At De Wolky Shop the customer is pampered. After the purchase is made you’ll get a delicious cup of tea or coffee for which you may go to the neighbors: café De Stadthouder. A fresh and modern store, with a pleasant atmosphere. Very modern and tasteful decoration. Customers enjoy coming here and receiving expert service. De Wolky Shop opened in 1999 in a different location, and moved to its current address within 5 years. Bringing an exclusive brand isn’t a common thing in shoe-land, so De Wolky Shop is in a unique position. The store also has large ladies’ sizes, up until 43 or even 44 (European) in the collection. Most shoes are suitable for custom orthopaedic supports. The web-store www.wolkyonline.nl is remarkable: the entire collection can be seen an ordered online.